Physical Address: 49 Long Street, Great Brak River. 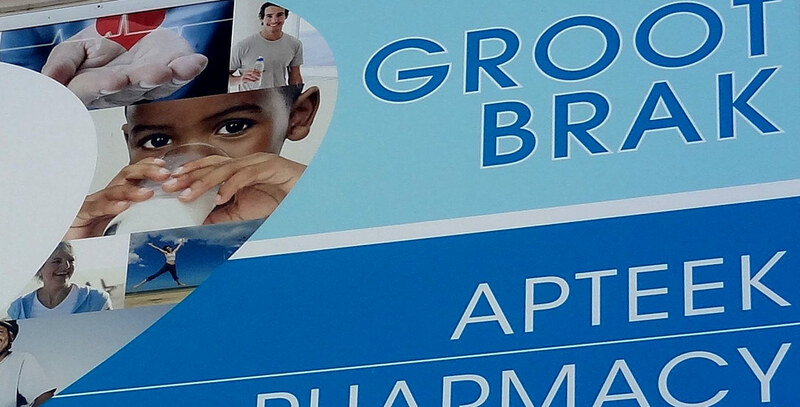 In 2003, when Chris and Gladys Fick became the new owners, Grootbrak Apteek (Great Brak Pharmacy) started out much smaller at another address. Today this family business – son Theo is now also part of the team – can be seen from the N2 because of the bright green cross outside. This is not only the logo of the We-Care group that they belong to, but also a sign used by pharmacies all over the world. Free delivery to the Groenkloof retirement village from Monday to Saturday, once a day. Hours: Monday to Friday 08h00-17h00, Saturday 08h00-13h00. Emergency hours on a Sunday from 11h00-12h00; open on public holidays from 10h00-12h00 (skeleton staff in both instances). 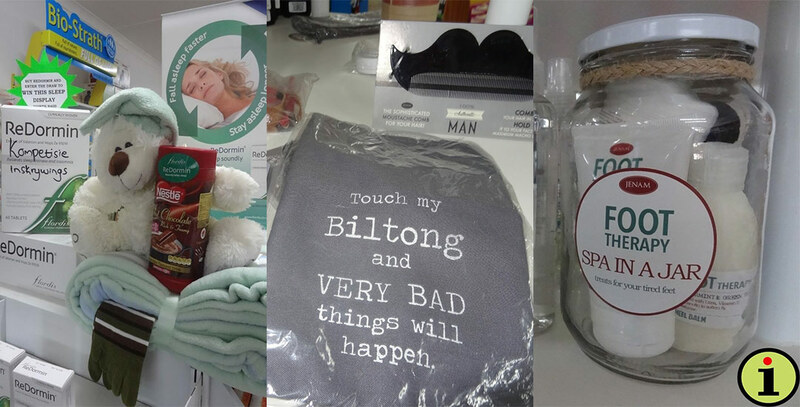 Here you will find an extensive range of baby products, interesting gifts, Great Brak River goodies (post cards, fridge magnets and more) – and look out for the regular competitions with attractive prizes to win. Stockists of Annique, Michellori and various homeopathic products. Get a We-Care Loyalty card and start saving today! Instant rewards, discounts or loyalty points – earn benefits with every swipe. Contact Great Brak Pharmacy for more information. 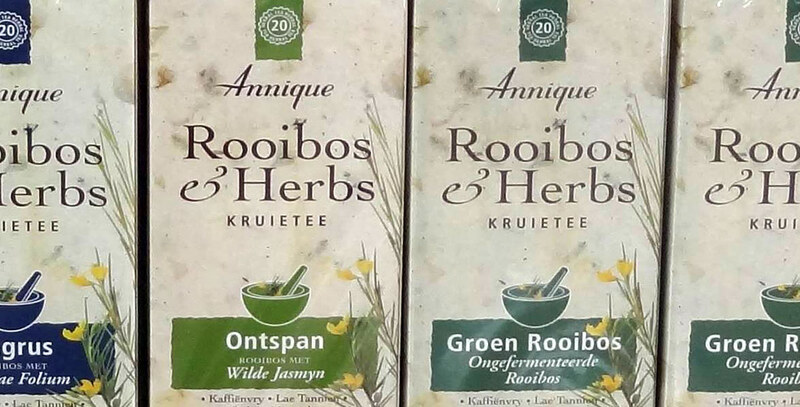 Stockists of Annique, Michellori and various homeopathic products. 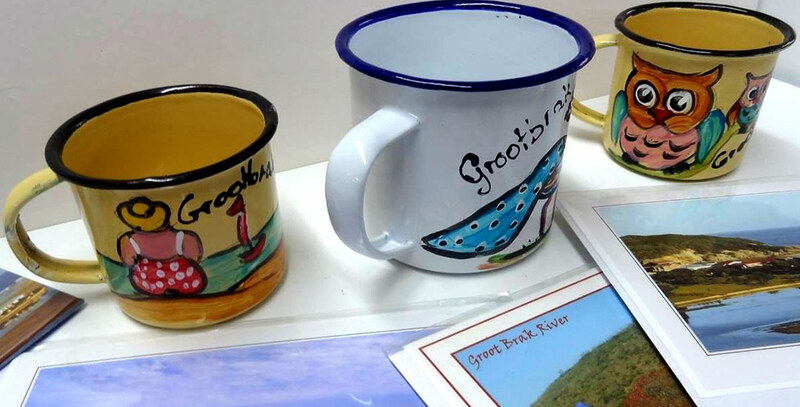 Great Brak River goodies (post cards, fridge magnets and more) – something from the village to take back home. 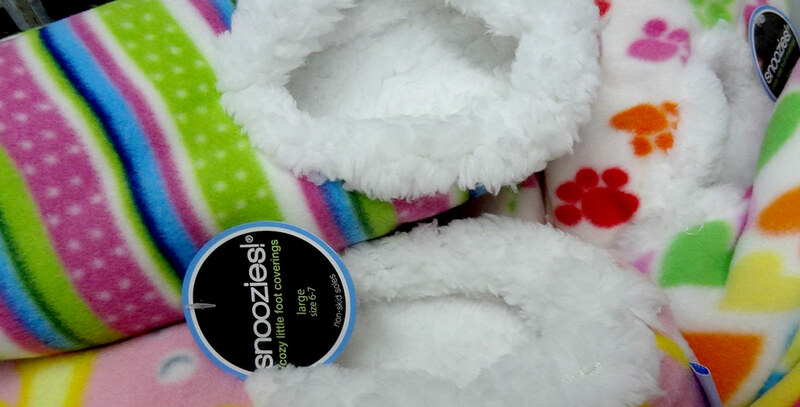 They make an effort to buy in good quality stock at affordable prices and have numerous monthly specials – best to check regularly on Facebook. Look out for the regular competitions with attractive prizes to win. You will always find interesting gifts for those special days – pop in to see their huge range of gifts on display.